This month I am featuring Ashley Buchanan, Geoffrey D. Giles, and Matthew Smith- three artists whose jewelry will be in The Shop from February 3rd- 15th. I chose these artists because of their noteworthy craftsmanship and unique style. Read about the artists and join us for a Sip and Shop event this Wednesday from 5-7 (additional details below). Ashley Buchanan (b. 1986, Atlanta, Georgia) is a jewelry artist who received her BFA in Jewelry and Metalsmithing from the University of Georgia and is currently making her living as a studio jeweler in Johnson City, Tennessee. She has exhibited nationally and internationally in galleries and museums such as Velvet da Vinci, The Racine Art Museum and the Museum of Art and Design in New York where she was one of the artists featured in LOOT: MAD About Jewelry in 2013 and she is currently working on her second collection to be featured at SOFA Chicago 2015 with Donna Schneier Fine Arts. Her work is available in galleries and shops here and abroad, and she participates in craft shows across the country such as the Smithsonian Craft Show, The Philadelphia Museum of Art Craft Show and The American Craft Exposition. 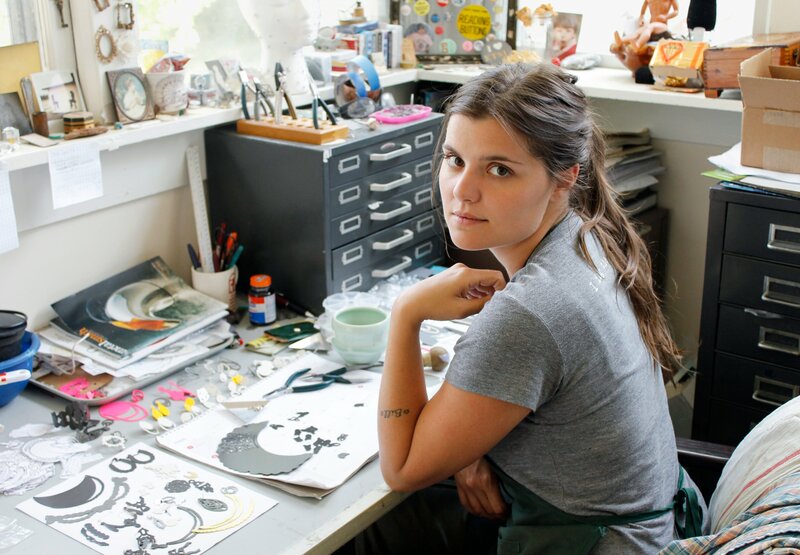 Ashley’s work has been featured in two of the Showcase 500 Series books, Ornament Magazine, Metalsmith Magazine and most recently she was featured in American Craft Magazine as one of the short-listed artists for the Emerging Voices Award. She is a 2014 NICHE finalist and was also selected as one of the ten finalists for the LEAP award at the Society for Contemporary Craft. Her goal is to participate in the field Craft with a fresh voice by creating wearable works of art that push the boundaries of jewelry while maintaining a clean, contemporary aesthetic. Geoffrey Giles was born in 1972 and spent his youth exploring artistic expressions. These included long hours of drawing and painting. While in high school, Geoffrey was introduced to jewelry making, and in a moment of clarity knew that it was what he wanted to do with his life. He was taken on as an apprentice by two master goldsmiths and formally began his training. Geoffrey creates one-of-a-kind and limited edition jewelry. 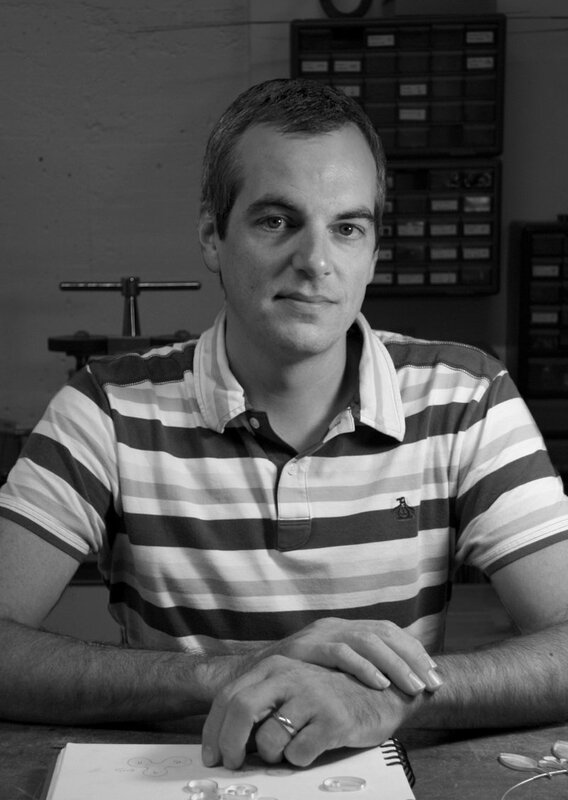 He works primarily in 18K gold, fabricating each piece himself with no outside help of any kind. His jewelry exemplifies a minimal industrial aesthetic; a combination of bold geometric forms, clean lines, and attention to surface detail. Using only 100% recycled metals, Geoffrey is committed to environmentally friendly processes and materials. Matthew Smith began his creative career as a freelance graphic designer. Through his years in this field, he developed what he terms a “visually concise” design language. He also maintained a long running hobby as a woodworker and furniture maker. When a move to a new city required a dramatic downsizing of his studio, Smith began to focus on jewelry as a compact way to merge his diverse interests. He found inspiration from the jewelry designers of the mid-20th century whose work emphasized strong design and alternative materials, over precious metals and gems. Smith’s pieces begin as a graphic design, which is worked and re-worked to develop the most concise expression of the concept. Design elements such as line weight, color, and pattern are translated into silver thickness, resin tint, and wood grain. Matthew Smith received his BA in Fine Art from Wake Forest University. While there he focused on printmaking and sculpture. 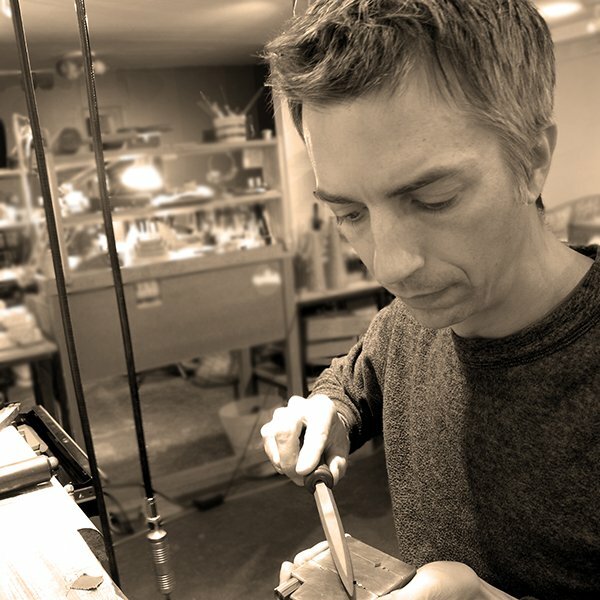 His education in silversmithing began by taking classes at the Cultural Arts Center in Columbus, Ohio as well as a jewelry class at the Penland School of Crafts. He has combined traditional silversmithing techniques with his woodworking skills to create a hybrid method of jewelry making. Make Valentine’s Day special for your sweetheart this year. At GreenHill find your special someone an unexpected gift of original art. Join us at 5:00 PM to enjoy a glass of wine or beer in The Shop to view jewelry pop-up artists Ashley Buchanan, Geoffrey D. Giles and Matthew Smith. The Shop offers a range of prices, starting at $50 up to $600. Pop-up artist’s works are available through Sunday, February 14. View and shop online at GreenHillNC.org/The-Shop. Located at 200 North Davie Street, across the street from Center City Park in the Greensboro Cultural Center. Parking available in the Davie Street Parking Decks. The Shop at GreenHill features unique, hand-crafted artworks from selected NC artists in a variety of mediums, including jewelry, ceramics, fiber, sculpture, painting, photography, multi-media works, and more. The Shop has just the thing you need for a memorable gift or a well-deserved reward.